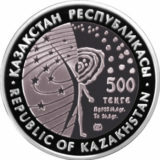 Date of issue: 5 July 2008. 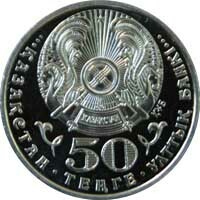 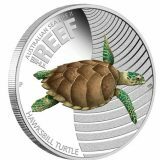 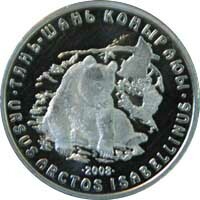 On the back side of the coin, on its central part there is an image of a Tien Shan Brown Bear against a background of forest bush. 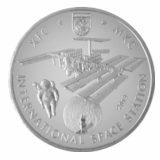 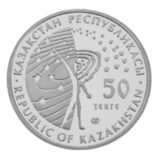 On the circumference there is the legend with the name of the coin in Kazakh language and “URSUS ARCTOS ISABELLINUS” Latin name. 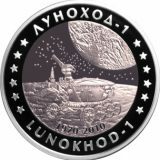 Figure “2008” indicates the year of coinage.